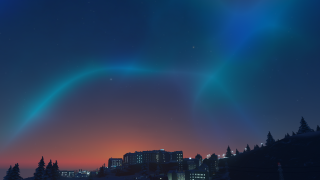 Cities Skylines' frigid update, Snowfall, will arrive just as winter begins to slacken its grip on the northern hemisphere: February 18 is the special day, and the expansion will cost $13—slightly cheaper than the After Dark update. Splash your cash and you'll need to plan for the weather in new snow-themed maps. Heating infrastructure, snow ploughs and weather-resistant transport will be priorities. There's no word yet on whether Snowfall will simulate rampant vitamin D deficiency among your population, but hopefully new winter parks will keep them out and about. If you don't want to pay, cosmetic fog and rain will blight your existing maps all the same, adding authentic misery to your metropolis.